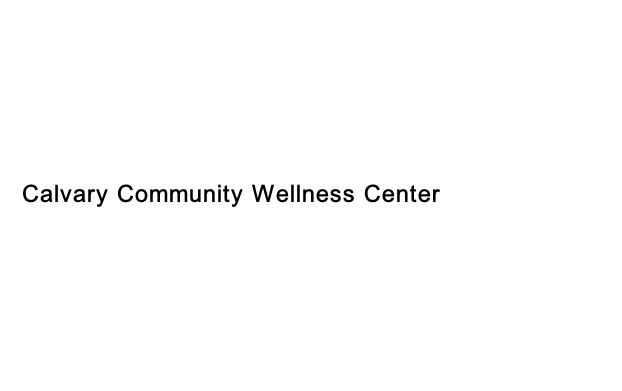 WHY CHOOSE THE WELLNESS CENTER? 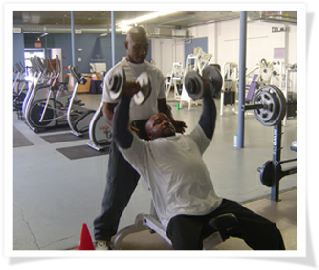 Medically-based health and fitness center with professionally trained staff. Committed to enhancing the health of the Kansas City community. Central location with convenient parking. Personalized attention to your health and fitness needs. Holistic approach focusing on well-being of whole person; the mind, body and the spirit. 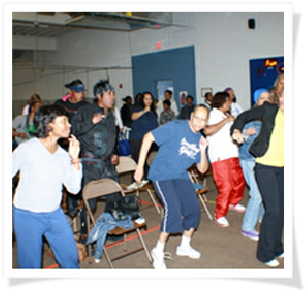 provides structured fitness opportunities and information to youth and families living and working in urban Kansas City. The 10,000 square foot warehouse located at 3002 Holmes Street has been converted into a state of the art fitness center to serve youth and families in the target group. 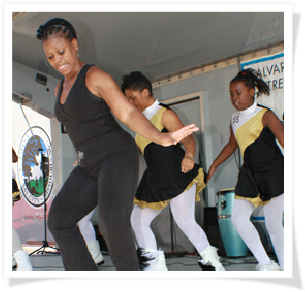 Health screenings, nutrition demonstrations and fitness classes are among the program offerings. 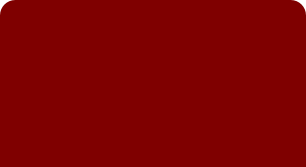 The health of people living in Kansas City is very important to the Calvary Community Outreach Network, (CCON). Over the years, we have learned that many of the diseases that people suffer with could be prevented or controlled. The conclusion is obvious- it makes more sense to keep people healthy than wait until they are broken and need medical attention. 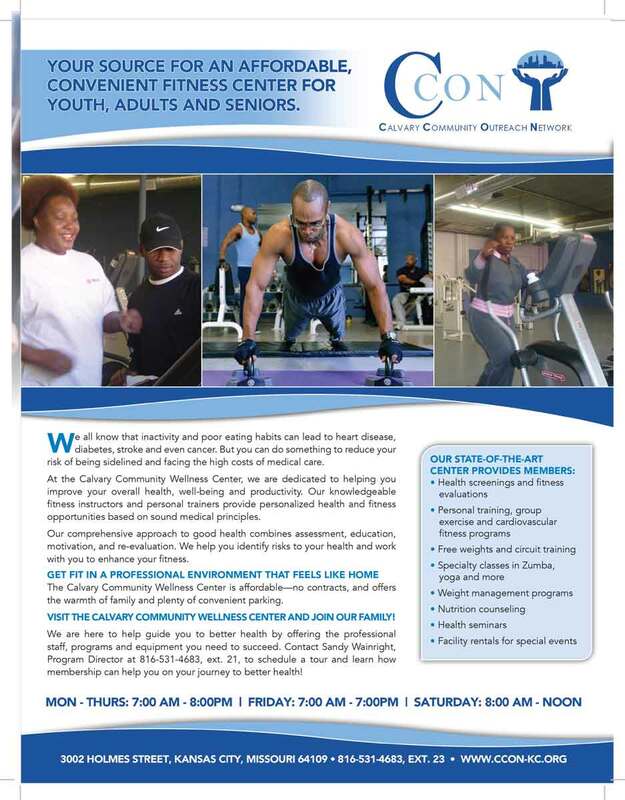 We have created a safe, friendly, culturally diverse gathering place where individuals from all walks of life can, establish individual fitness goals, receive critical health information and start on a journey to wellness. We have initiated a comprehensive approach to good health through a combination of assessment, education, motivation, and re-evaluation. 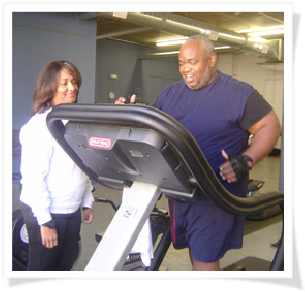 This approach includes assisting people as they manage lifestyle, risk identification, fitness enhancement, health education, motivation, and the resources necessary to improve our members' health through long-term, personal action plans.